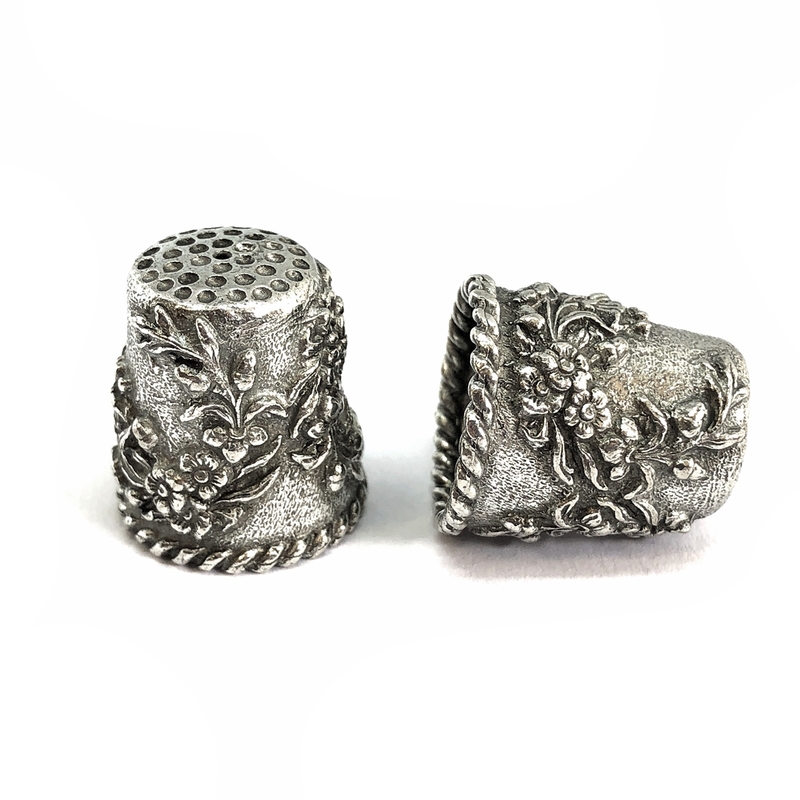 Large floral thimble, old silver pewter, sewing thimble, floral rope design, vintage style, pewter castings, B'sue by 1928. Nicely finished thimble, can be perfect to make a tassel. This thimble has a hole on the top. Measuring 24 x 22mm. Multiple uses, earrings, necklaces, and sewing. Old Silver pewter is a specialty artisan finish unique to this line.